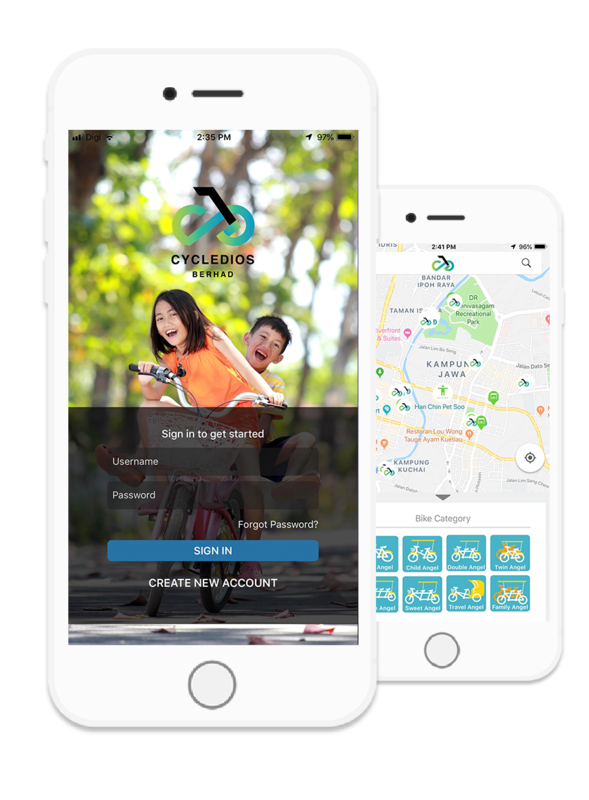 Cycling Angel provides smart mobility for short distance journey, help in energy conservation, enhance urban eco-friendly environment and making life healthy and joyful. Soon to be available on the App Store and Google Play! Coming Soon on 1st March 2018. Easily view previous riding record, which include places, price and more. Show your current balance and payment history. Make feedback anytime to get the app more user friendly to you. One button click to call for help while riding. Jalan Lim Bo Seng 3000,Ipoh, Perak.